Looking to hire a comedian for your fundraiser and need to know how to get started. If you are looking for a comedian with lots of experience, I am your man. I have played 1000’s of shows across USA and Canada. 2. Set up the room correctly. An improperly setup room can really damper a comedy show. There should be no barriers like a dance floor or silent auction between the comedian and the audience. The best set up room has the audience as close to the comedian as possible. 3. Have good sound, stage and lights. For the best show possible you are going to want to have a good sound system. Does the venue have a sound system? But has it been in place since the building was built, does it even work? Sometimes it works to get a local DJ to provide the sound, they will often have lights as well. A stage and lights are great, they make for the most professional show. Sometimes they aren’t available and the show can still go on. Sound system is the most important, they have to hear the comedian! 4. Decorate the venue to make it feel like your event. If budget is a concern just head to the dollar store and get some table cloths and things to dress the place up. Putting some snacks on the table, and other little details add up to make your event look customized. If you have banners , signs, and displays put them up. This is the opportunity to showcase! 5. Promote with word of mouth. Always make sure to speak highly of the event, if someone asks “Are the comedians funny”? The answer is yes, very funny, it will be an amazing night. You know this because you chose the right comedians. Get all the volunteers available to spread the word, put it on social media and have them help sell tickets directly. 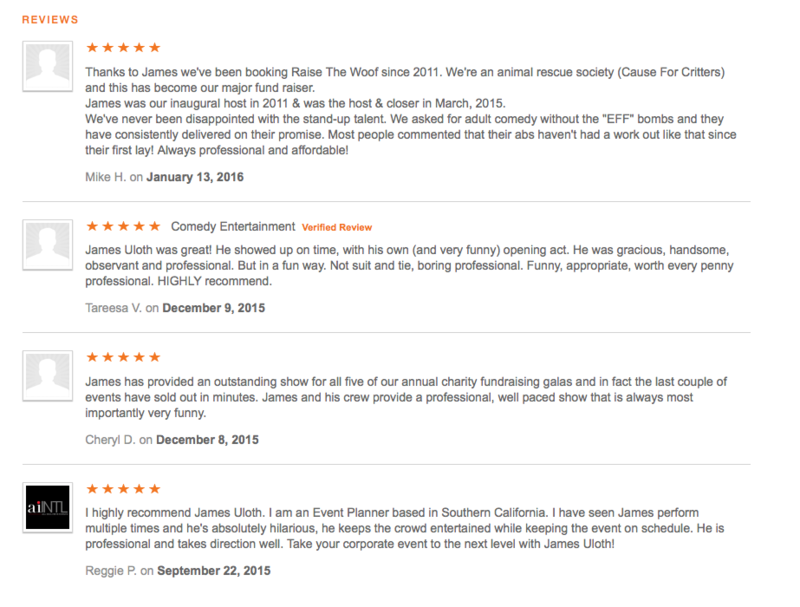 When you need to hire a comedian for an event, book James Uloth to provide the laughter. Please read the reviews below. For more information email james@jamesuloth.com or call (323) 570-HAHA. If James is unavailable for your event, we can help find you another great comedian. Looking to have a minor hockey fundraiser comedy night? I can help walk you through the whole process on how to have a successful fundraiser. Get that extra funding to help with those expensive ice fees, equipment and travel. James plays so many hockey fundraisers he has a whole website dedicated to it www.MinorHockeyFundraiser.com! The first part to having a great fundraiser is to hire amazing comedians. I can schedule you in some amazing comedy acts that will suite your needs. I’m able to get the best talent as I often combine show dates into tours, that allows me to get a great rate and great talent as I’m producing the shows in bulk! I’ll go through some steps on how to make your event a financial success. It’s the main reason you are holding a fundraiser. You can have many streams of income, here are some of the most common. 1. Ticket sales. The first line of income is from ticket sales, but there are lots more ways to earn revenue. 2. Sponsorships. Put together a good pitch for sponsorships and approach local business to help out. 3. Silent auction. Gather silent auction items. Try getting a variety of price points so that even people who don’t have large incomes can still find a way to contribute a little extra, and people with high incomes can get into a price battle over some fancy stuff. 4. Raffles. Have 50/50 draws, and other prize raffles to get that extra income. Those are the most common income streams, and we see people raising a take home of between $4,000 – $8,000 quite frequently. We have had some events raise $20,000 or more! Looking for some entertainment? James Uloth is coming through Flin Flon MB and has a night available. He’s perfect for a corporate event, fundraiser or any night of entertainment. Are you a non profit group looking for a fundraiser? James Uloth helps put on between 40-60 fundraiser events a year across Canada and USA. His shows average over $4,000 in profit for the groups he works with. Looking to have a youth hockey fundraiser comedy night? I can help walk you through the whole process in how to have a successful fundraiser. Get that extra funding to help with those expensive ice fees, equipment and travel. The first part to having a great fundraiser is to hire amazing comedians. I’ll give you a few quick pointers. 1. Watch video: See video of the comedian, make sure they are funny and appropriate for your event. 2. Decide the level of content and make sure the comedian can deliver what you want: Will you have an all ages show, adults only with anything goes, or do you want something middle of the road? I perform at and help provide comedians for between 60-100 fundraisers a year. I have become an expert at picking the right comics for the gig, and can offer my performance at any content level you request. 3. Is the comedian available: Check their calendar and get in touch. If you see my calendar is already busy, please get in touch. I can sometimes move gigs around and I can also help find you hilarious comedians. Now I’ll go through some steps on how to make your event a financial success. It’s the main reason you are holding a fundraiser. You can have many streams of income, here are some of the most common. You see a dog. The first thing you want to do is run up and pet it while making kissing noises. Did you know this is actually a jerk move? Yes, you can frighten some dogs – and people – not every dog is as eager to give a stranger affection. A dog is a pack animal and if it doesn’t think you are part of it’s pack, it can take your signs of affection as aggression. You should always ask someone if they mind if you pet their dog. Aren’t dogs cool? I love them and want to do whats best for them. Some dogs like to be pet behind the ears and some like belly rubs. Sometimes the little dog is the boss of the big dog, and sometimes the big dog is the most cuddliest. I’m not a scientist, but when dogs evolved they learned how to steal our hearts. I feel we owe them something for their loyalty and kindness. One of the major problems facing our pets is overpopulation. It is important to have your dog and cat spayed or neutered. It improves the quality of life for all pets when we have population control. Both cats and dogs can breed very quickly and exceed the capacities of rescues and shelters. Some of our shows, the tour goes across USA and Canada! How can you help? Well, first of all be an advocate for your local animal rescue. Share their posts of animals needing homes, donate some money towards their continued operations and offer help when they need it. My comedy tour, Raise The Woof has raised over 1 million and counting for animal rescues. What if I told you all you had to do was come out and laugh for an evening of entertainment, and you’d be helping out abandoned and homeless animals? Laughter is a powerful thing, please support your local animal rescue. For more info on what we do email james@jamesuloth.com or call (323) 570 – HAHA (4242) or use the contact form below. Looking to have a comedy fundraiser but don’t know where to start? I’ll walk you through the whole process, from picking the right comedian, to how to monetize that event. 1. Pick the right comedian. Choose a comedian who has lots of videos and reviews from past shows. Make sure they have experience playing fundraisers, as they are different than playing comedy clubs or corporate events. You’ll want to impress the audience and not offend any of your supporters. 2. Promote the event. Split the tickets up amongst your volunteers to actively sell them. Use the media to not only promote the show but tell everyone about why you are fundraising. 3. Make sure to gather silent auction and raffle items. There is a huge amount of funding to made off these. 4. Decorate the venue if possible. Have fun and decorate the venue, give it a personal touch so the attendees know you put in the effort. 5. Let everyone at the event know how much you appreciate their support. Let people know why you are raising money and what it will be used for. People like to hear they are making a difference and it will also motivate them to donate more if you are trying to reach a goal. If you want an experienced comedian to play your event, look no further. I have played 100’s of fundraisers over my career and have many videos an reviews for you to check out. If I’m unavailable for the show I can also find you some comedians who will be perfect for you. To get in touch please email james@jamesuloth.com or call (323) 570-4242 (HAHA) or fill in contact form below. I’m available across USA and Canada. 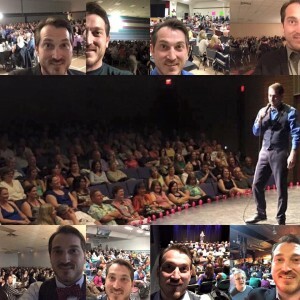 Having a comedy fundraiser can be a daunting task, I can walk you through the whole process. I’m the creator and producer of 2 of the largest fundraiser comedy tours in history (www.WoofRaise.com and www.ComedyForTheCure.com). Each of my tours have raised over $1 Million dollars and I have annual events in over 40 cities and town across USA and Canada. I can give you helpful pointers along the way that will help you along the way and most importantly I can provide top quality entertainment. I have played over 3,000 shows in 4 different countries and been featured in several comedy festivals. I have a long list of reviews, referrals and videos for you to review. If I can’t personally be part of your fundraiser I will help you hire a great comedian. By performing around North American and producing my tours I work with lots of great acts that I have personally vetted. A night of standup comedy can be a great way to raise money and spread awareness to your cause. When you get a group of people laughing together its a great opportunity to tell them what you are all about. Just the promotions around a comedy night is a great way to approach the media and reach out to the public. My events typically raise between $4,000 – $20,000. With some hard work, and lots of laughs its great night out and a great way to raise that money. Please get in touch today and we can start the process. You can reach me by email james@jamesuloth.com or call (323) 570-HAHA (4242). Or fill out the contact form below. Having a comedy fundraiser is a great way to raise money! Groups we work with regularly raise between $4,000 and $20,000. 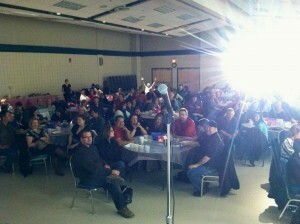 Its a great feeling to fundraise with comedy! I can walk you through the whole process and help you have the most successful event possible. I play and help organize between 60-100 shows a year. If I can’t personally make your event, I will send comedians that I personally vetted and that are amazing. With the international comedy tours I created www.ComedyForTheCure.com and www.WoofRaise.com, each have raised over $1million dollars. Many happy people have worked with me and gladly lend their referrals and reviews. A lot of my events are annual and I send a new batch of comedians every year for as long as you need. It’s amazing to see shows grow and become a regular income stream for the groups I work with. Comedy is a great event that will stand out in your fundraising calendar. Whether you already have events you regularly organize or you want something special to kick your fundraising adventures off, my comedy show will be a perfect fit. We can play anything from squeaky clean, middle of the road or adult oriented performances. I can tailor the shows to your need, and help you monazite the event to make the most funding possible. All the while raising this money at a fun event, showcasing your cause and bringing in new supporters! Laugh, raise money and create a new fun social event in your community. The first step is getting in touch, please email james@jamesuloth.com or call (323) 570-4242. Or fill in the contact form below. Having comedy as your fundraiser is a great idea. I’ll walk you through the steps of hiring a comedian and having a great event. 1. Find the right comedian. It’s one of the biggest parts, you need a great comedian to have a great fundraiser. I’ve played 100’s of events and would love to play yours. 2. Have volunteers sell tickets and promote the event. The biggest form of advertising is word of mouth, you can accomplish this by having your volunteer staff help sell tickets. 3. Get media coverage. You’ll want to get all the exposure in newspaper, TV and radio. 4. Use your social media. Have everyone involved mention the comedy fundraiser on their social media. Change your Facebook status to highlight the upcoming event! 5. Put posters up in highly visible area. All the advertising comes together and combines to create a well publisized show. 6. Have enough staff to help setup the showroom. You’ll want the event to look like you customized it for your organization. Put up displays and other branding from your group. 7. Have a silent auctions and raffles. There is lots of money to be made with these, spend some time gathering them. 8. Let everyone at the event know how grateful you are for them supporting. Let people know what the money is being used for, people love to be able to watch progress and know they are being helpful. 9. Let the people coming out know about other events you have coming up..
10. Remember to have fun and enjoy the event. It goes by fast take a second to realize how great a show you put on. With some effort and working together with your volunteers and supporters you’ll have a successful and funny event. Using a comedy show for your fundraiser is a great idea. I’ll outline how a show comes together and how to find the right comedians. 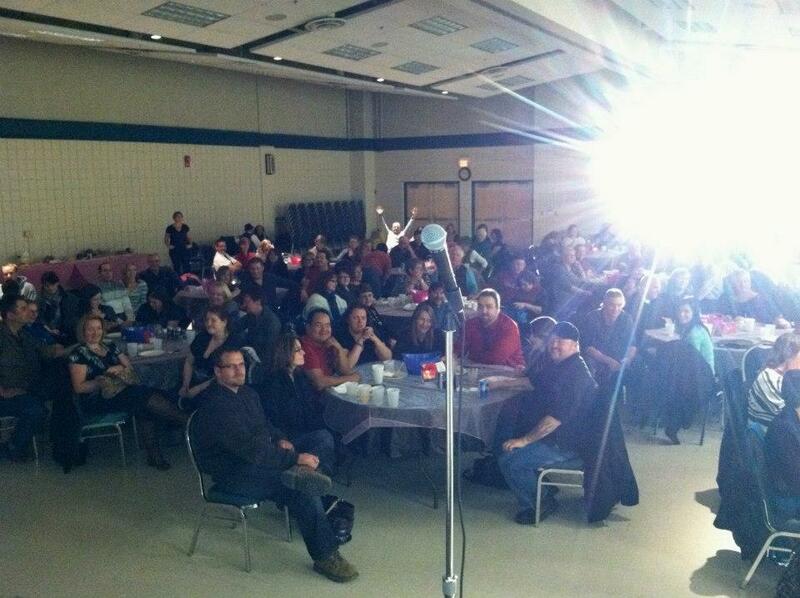 To raise money with a comedy fundraiser is a great feeling, laughter is an amazing unifier. Here are 10 great pointers to establishing and putting on a great comedy event. 1. Name your event. Give it a cool name that can relate to what you are fundraising for and also says comedy. 2. Pick a venue. Book that venue out as soon as you can, as some venues can be very popular. 3. Choose the right comedians. Get a comedian with experience at fundraiser shows. It takes a certain finesse and some grace to entertain at a fundraiser. I perform at and help put on 40-100 fundraisers a year, I’d love to be part of your event. If I’m unavailable I can help get you some comedians that will be fantastic. 4. Get support to help sell tickets. Get as many of your volunteers to help sell tickets as you can. 5. Promote with social media and word of mouth. The volunteers selling tickets really help drive word of mouth, have everyone mention where to get tickets on their social media. 6. Get coverage in local media. Use the event as a talking point to the local media, get that media coverage and drive ticket sales while also getting the word out about your cause. 7. Let everyone know you are grateful for their support. Tell all the people who come to the event thank you. Its important for them to feel like they are helping. 8. Let everyone know what the money is used for. People like to see goals and monitor how they are coming along. ex.If you are trying to raise money for a new piece of medical equipment “The medical equipment costs $60,000 and we have raised $30,000, we are hoping to take a big dent out of the remainder with the comedy fundraiser”. 9. Have fun put your touch on the event. Make sure to have your personal touch on the event, have time to decorate and put your branding on it. 10. Have other events coming up? Use the opportunity of having all these people in a room to tell about the other amazing events you have coming up. Those are 10 pointers that will really help you along the way. Some of them may seem pretty straight forward, but combine them all together for a great evening of standup comedy! 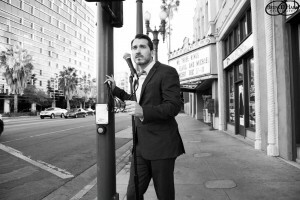 For more information and to book a comedian email james@jamesuloth.com or call (323) 570 – 4242.